It seems like there are a lot of hurdles to jump throughout the car buying process. 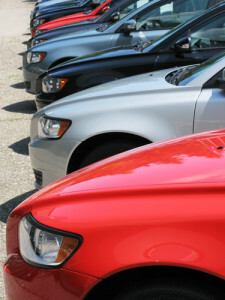 Whether youre purchasing a new or used vehicle, one of the most difficult, and frustrating, tasks can be financing. Quirk Pre-Owned, a used car dealership serving Boston, wants to give everyone the opportunity to start driving a quality car, so we offer financing options to make that possible. With Quirk Pre-Owned, there is no credit check and no credit history is needed to apply. Everyone is approved. Whether youre a first-time buyer, or youve experienced some financial hardship, we will find a way to put you behind the wheel of a vehicle you love. Forget your financial woes and shop with Quirk Pre-Owned. We work hard to find you the right vehicle to fit your lifestyle. Check out our used car dealership serving Boston and test-drive one of our exceptional used car, like the 2011 Ford Focus and 2012 Fiat 500. Quirk Pre-Owned has financing options that will get you a great used car, such as the 2011 Ford Focus. This four-door sedan is the ideal vehicle for first-time buyers, offering great gas mileage and interior technology. The estimated fuel efficiency for the 2011 Ford Focus is 25 mpg city and 35 mpg highway. Enjoy the technology of the Ford SYNC Equipement Group, which includes voice-activated communication and entertainment, electrochromic mirror with compass, cruise control, and redundant audio controls. If youre looking for an upgrade, the 2012 Fiat 500 is an excellent option. This sporty hatchback offers more cargo space than a sedan, without sacrificing fuel efficiency. This vehicle gets an incredible fuel efficiency rating of 30 mpg city and 38 mpg highway, so youll continue to save even after the sale. Quirk Pre-Owned wants all of our drivers to find a car you love at a price you can afford, so we offer financing options to make that possible. Check out our Boston used car dealership and find the car of your dreams. For more information about our used car dealership serving Boston or call us at (877) 466-1512 today!